Q: Can I make flash book an animation background? It is great that flash book can flip with stunning flash effect. It works like a real book. We are able to customize template with beautiful background in our own styles. 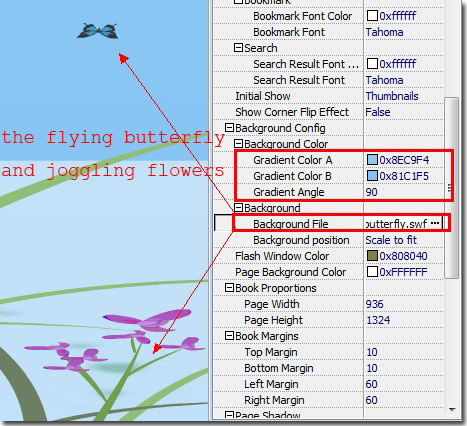 Usually, we import background image to decorate our book. But today, I would like to tell you that you are also able to insert flash animation file which suffixes with “.swf” into your flip book. By this way, you are suggested to define the flip book a pure color background or a gradient color background. Step4: apply change to see the effect as below.